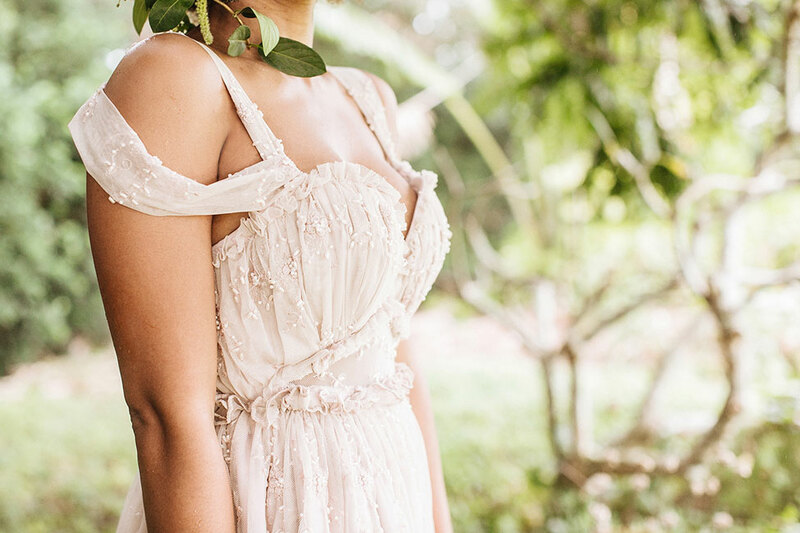 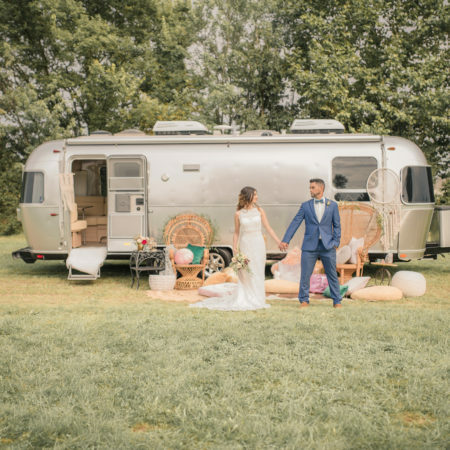 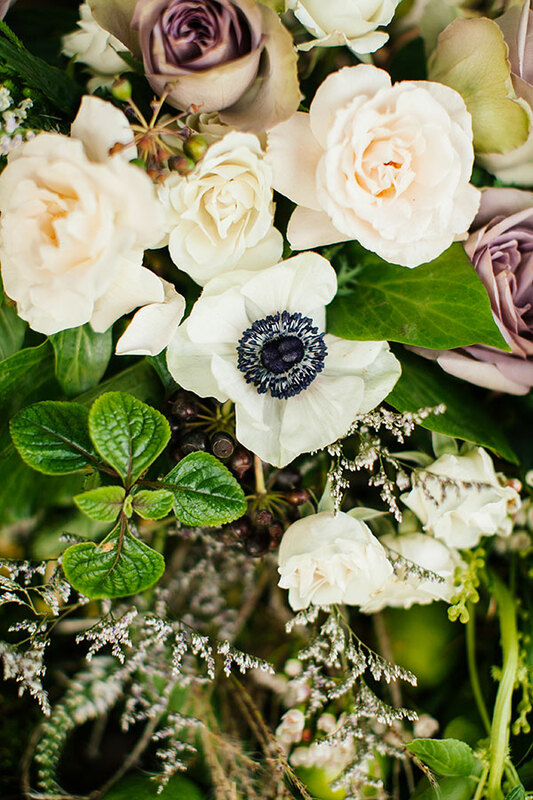 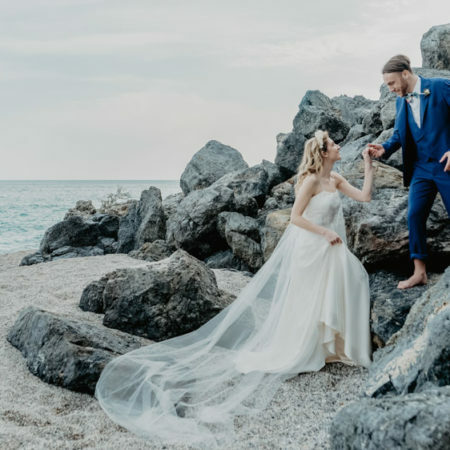 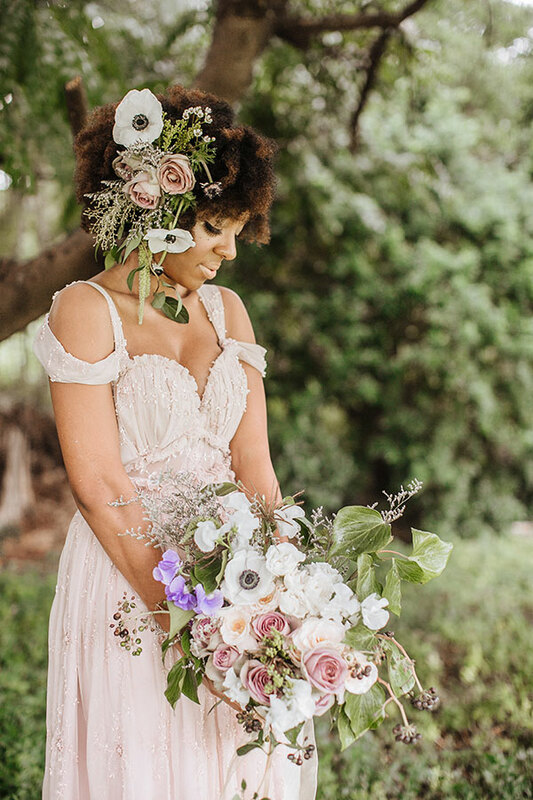 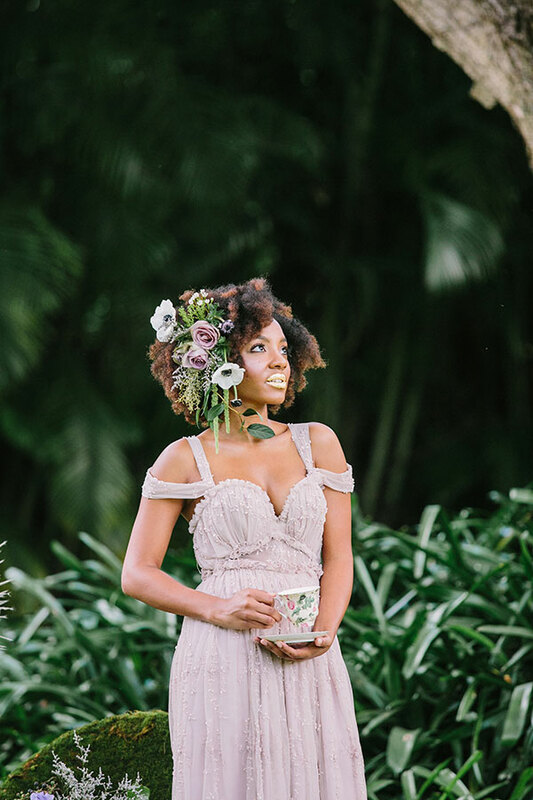 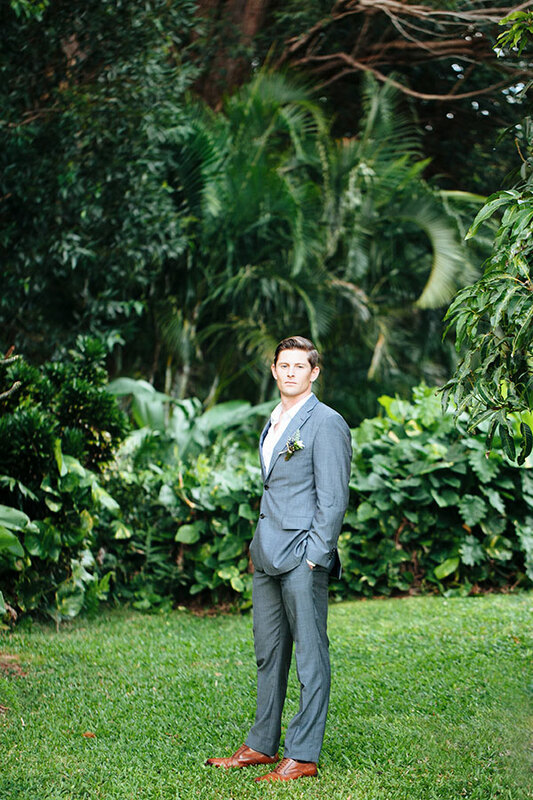 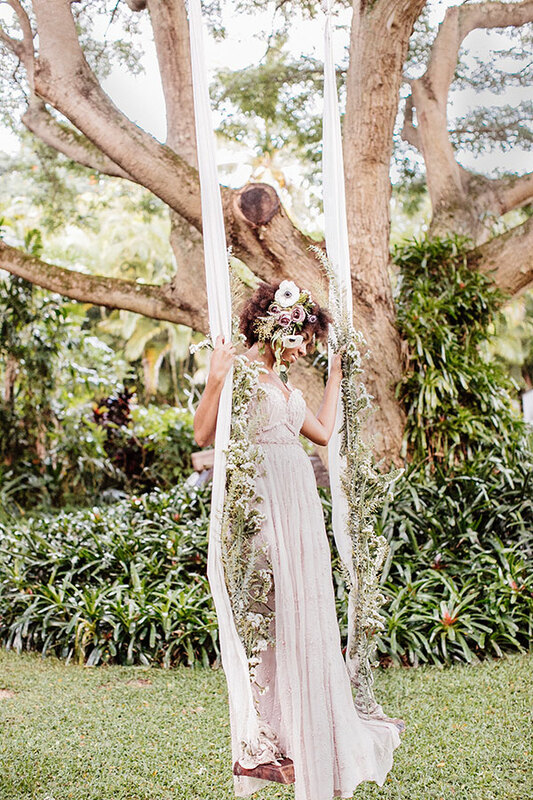 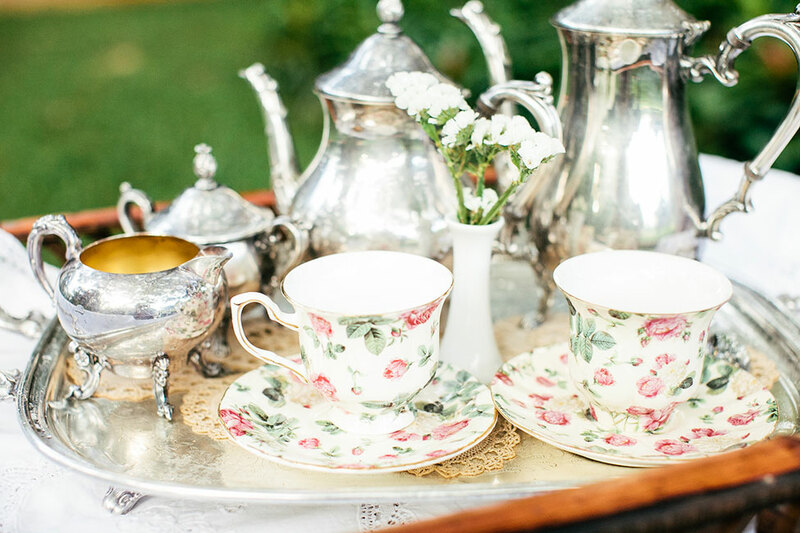 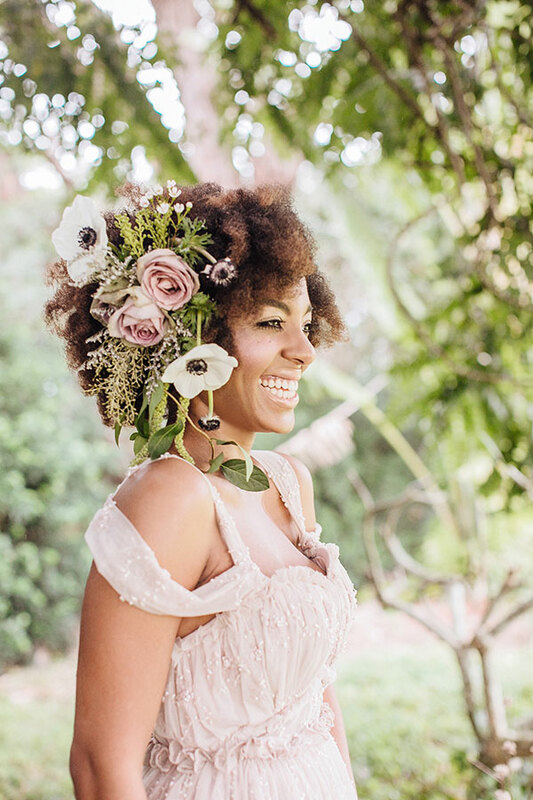 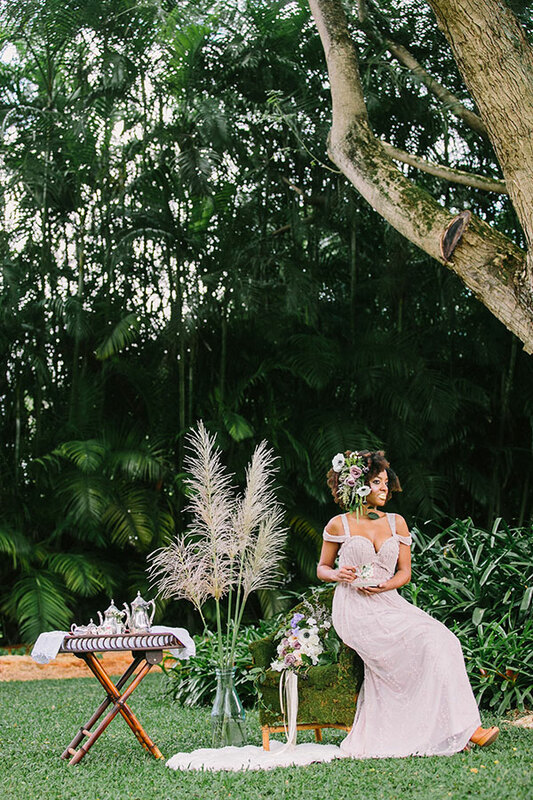 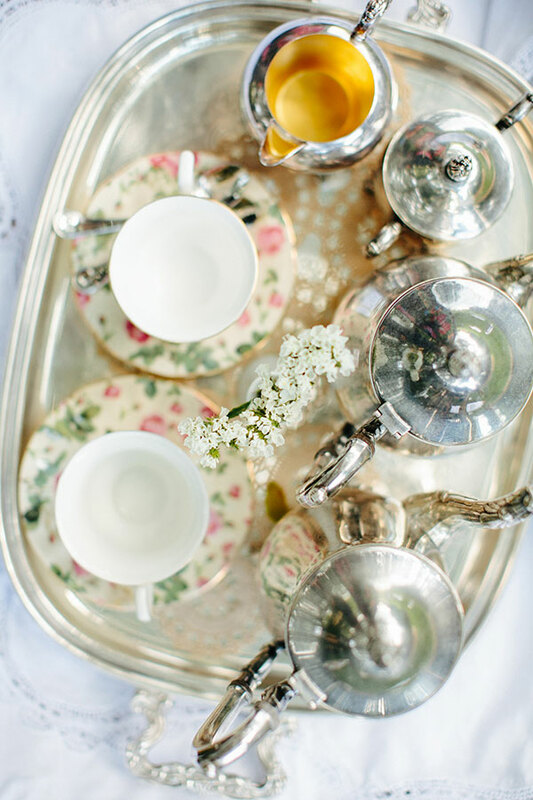 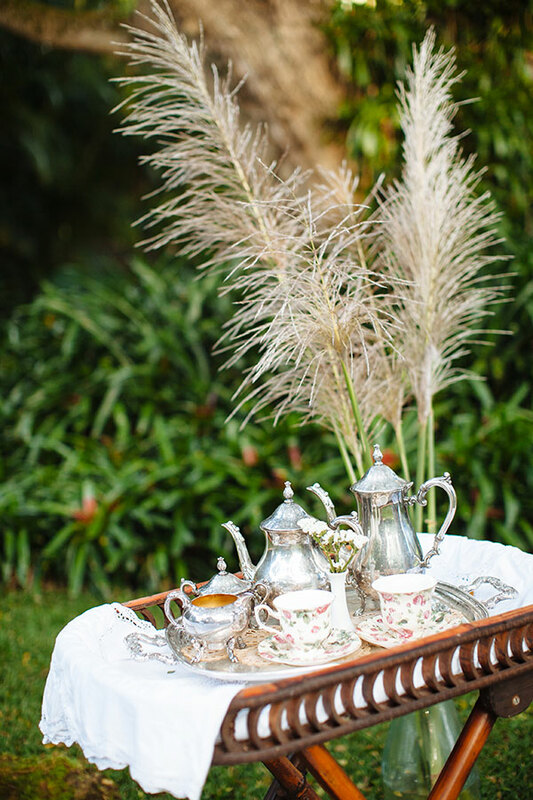 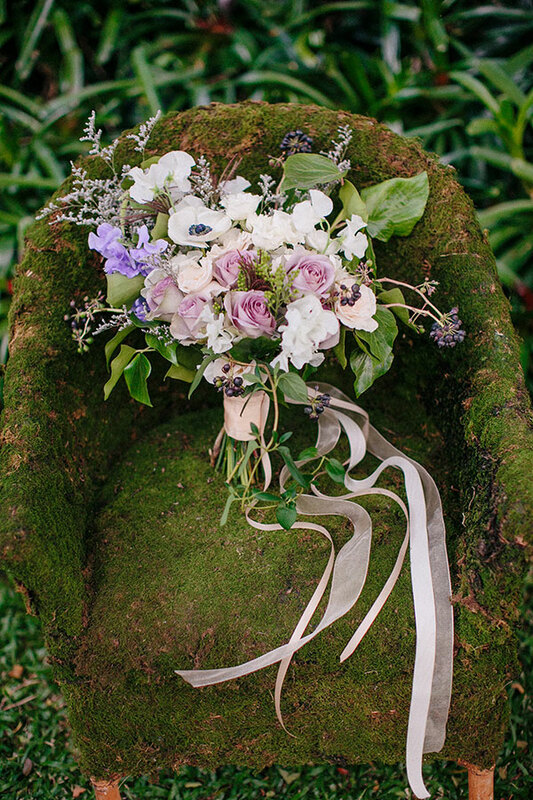 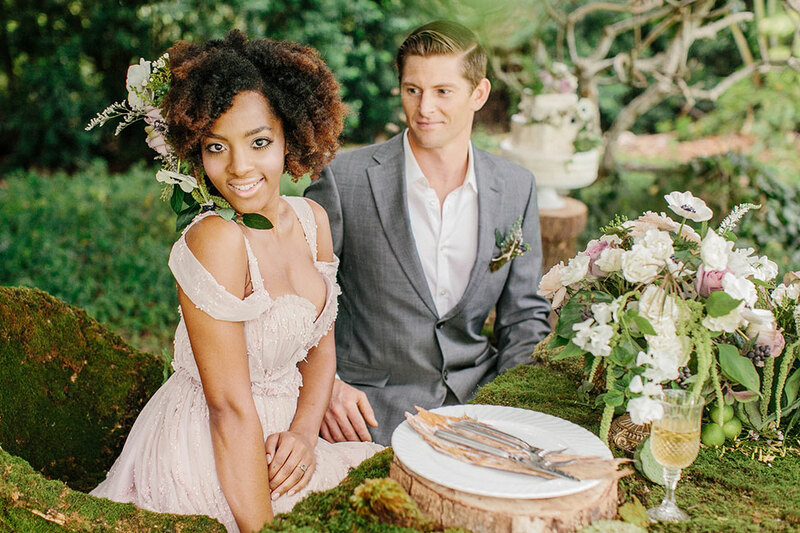 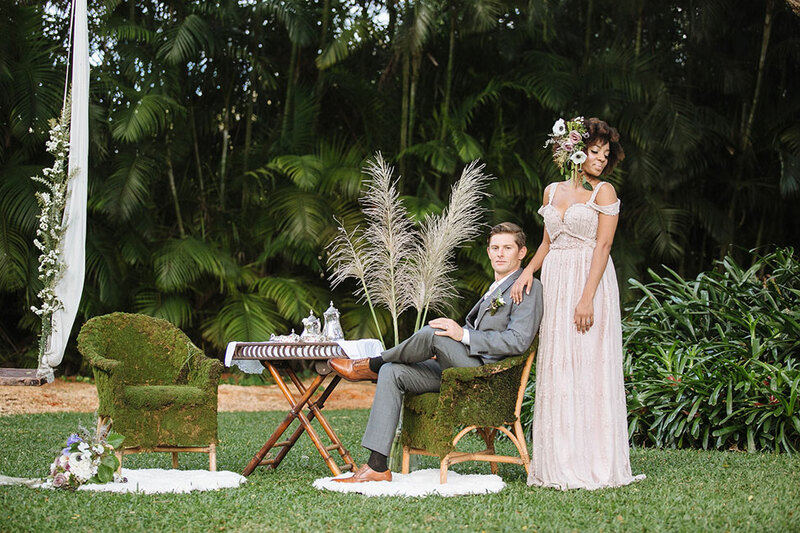 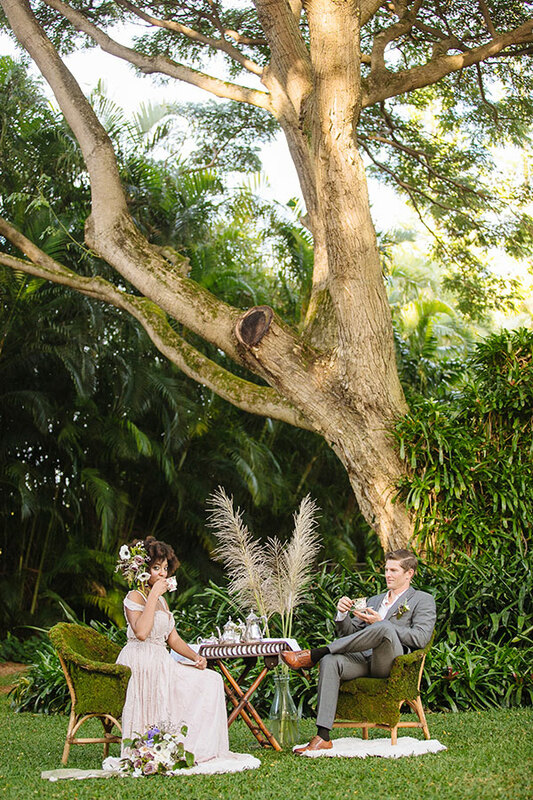 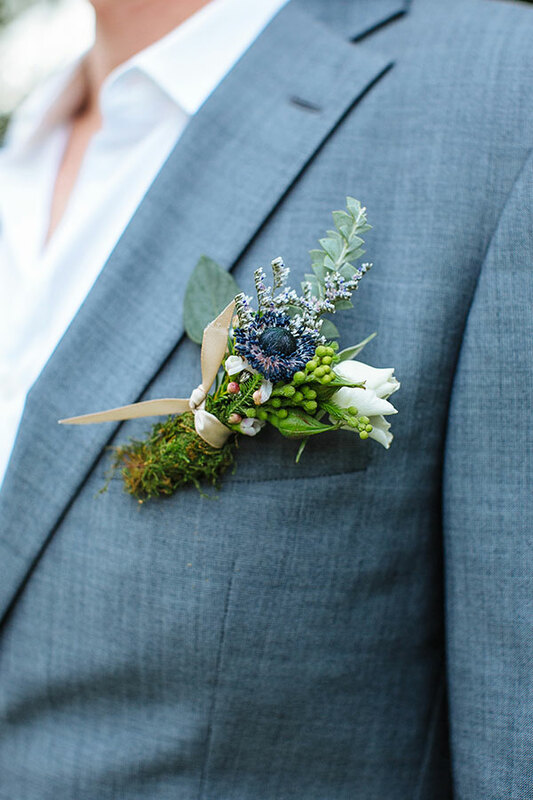 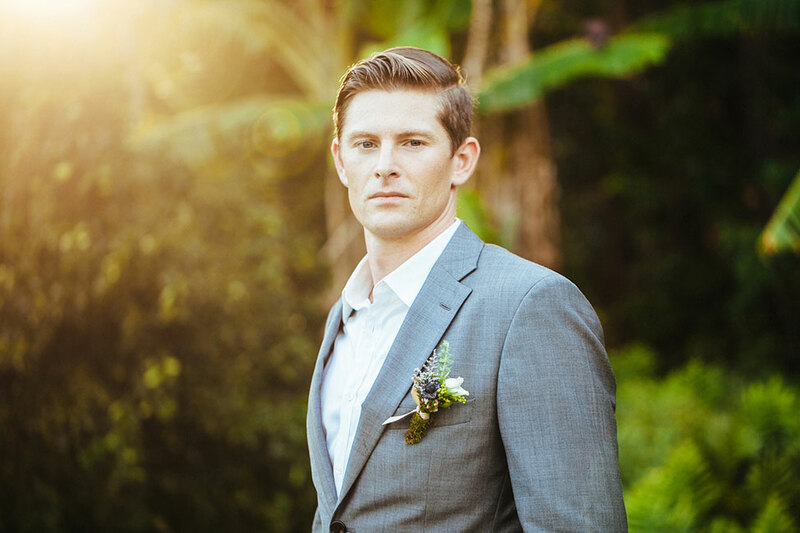 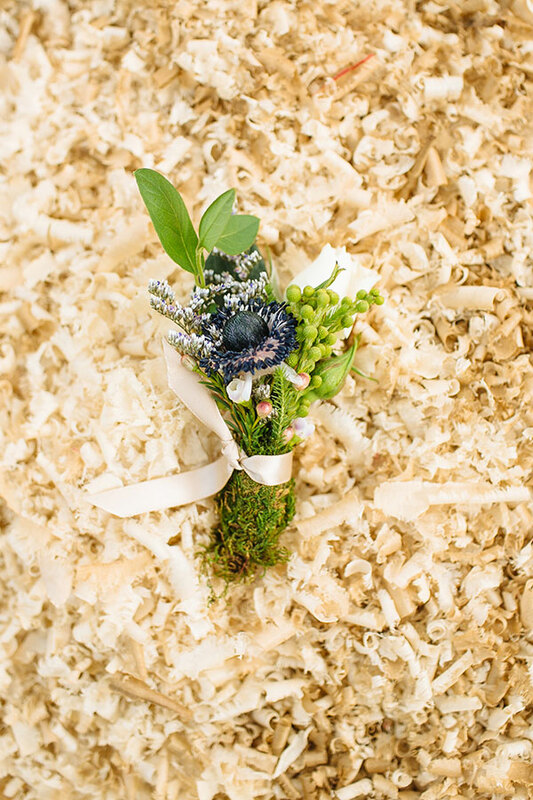 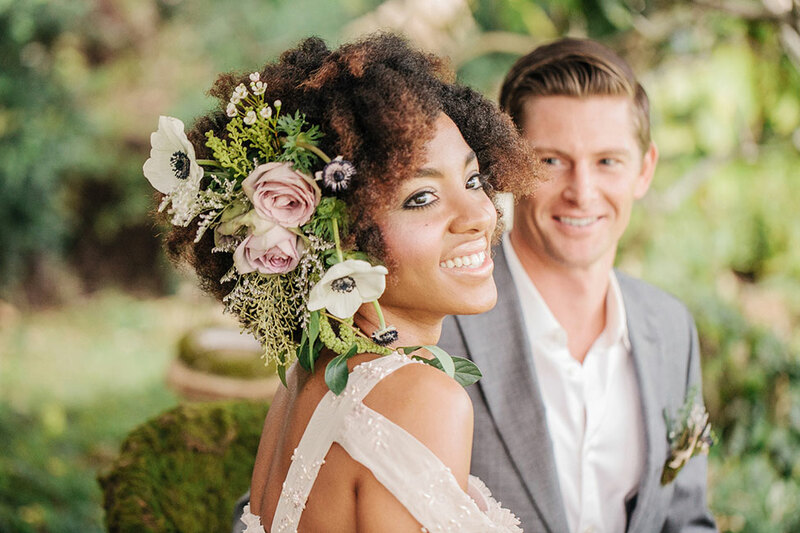 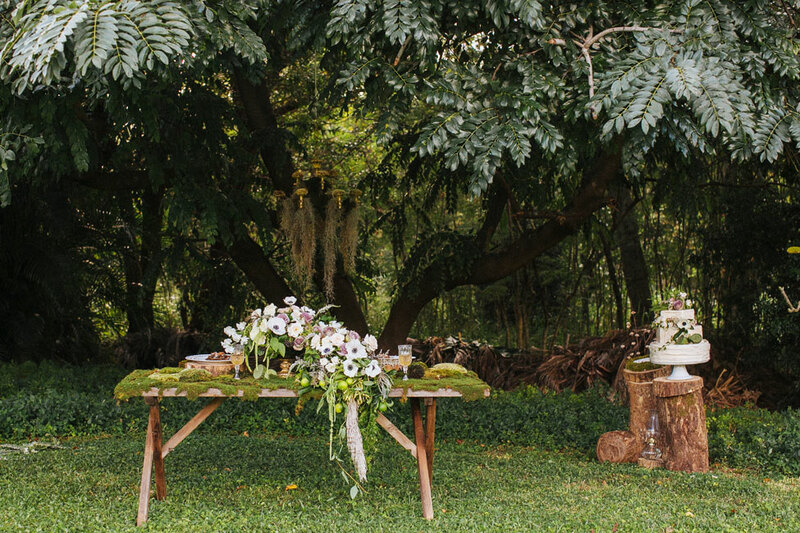 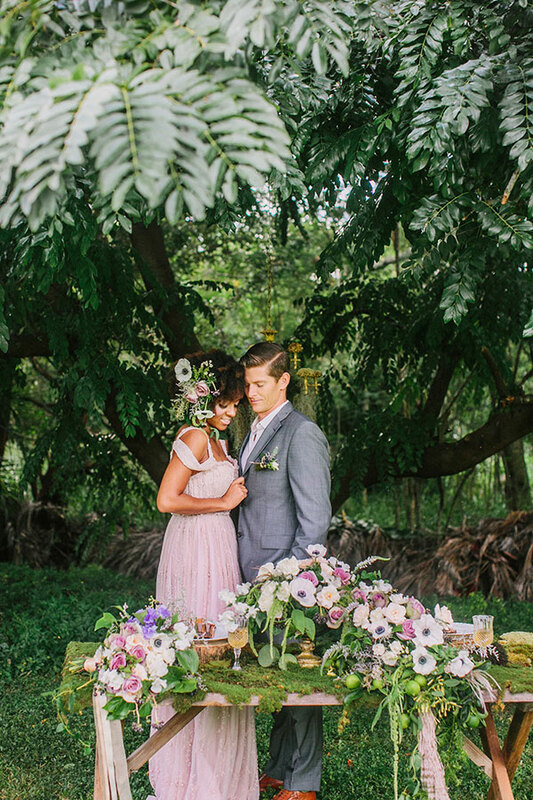 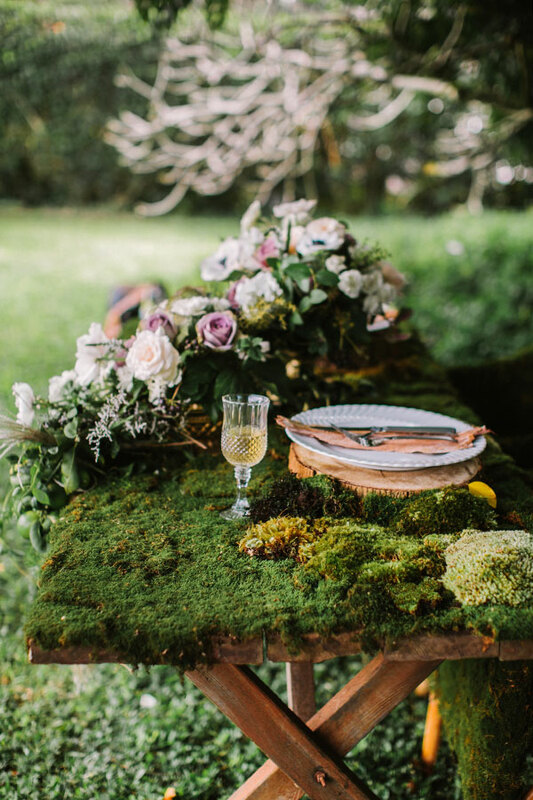 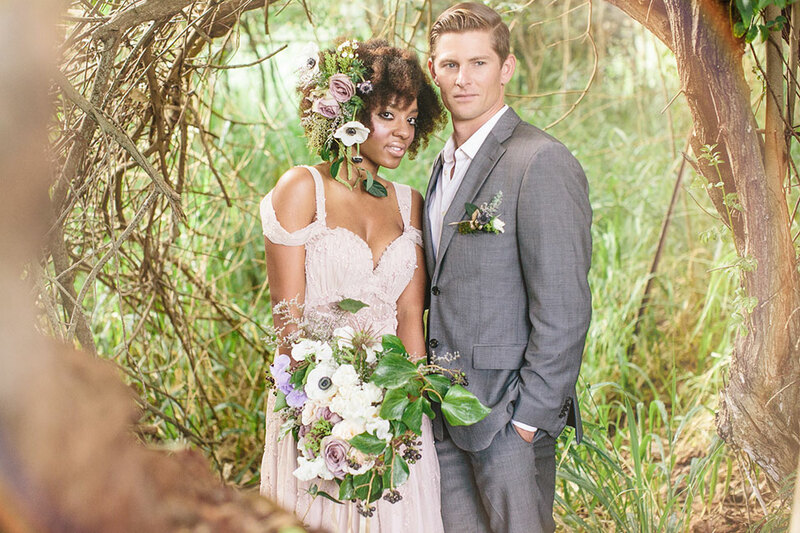 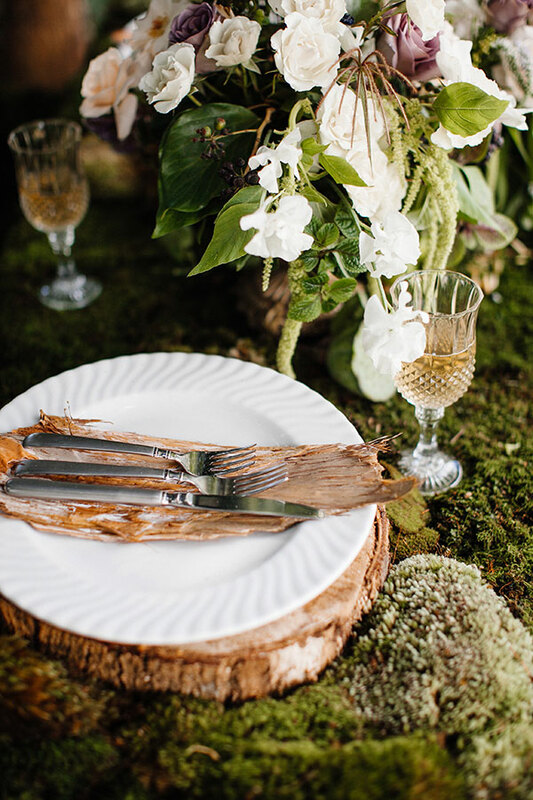 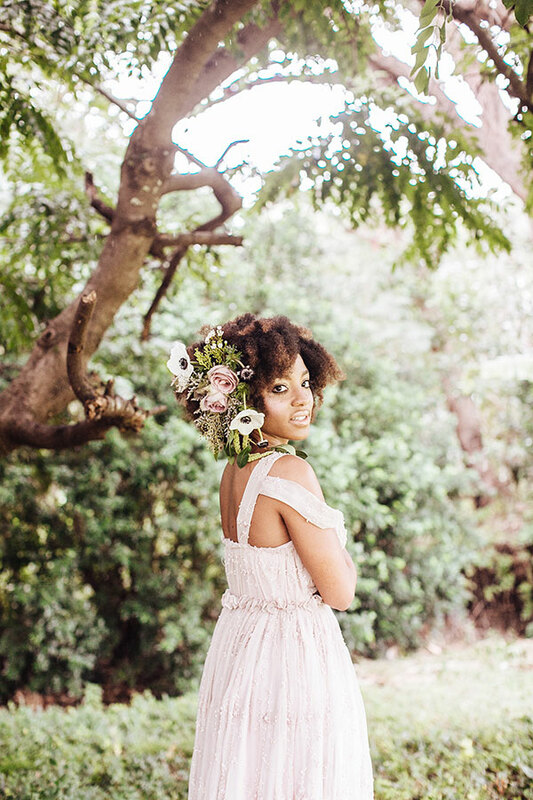 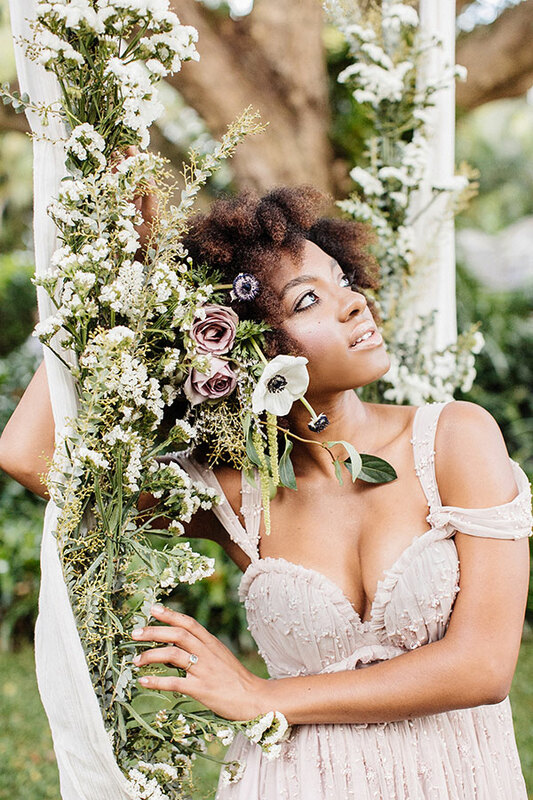 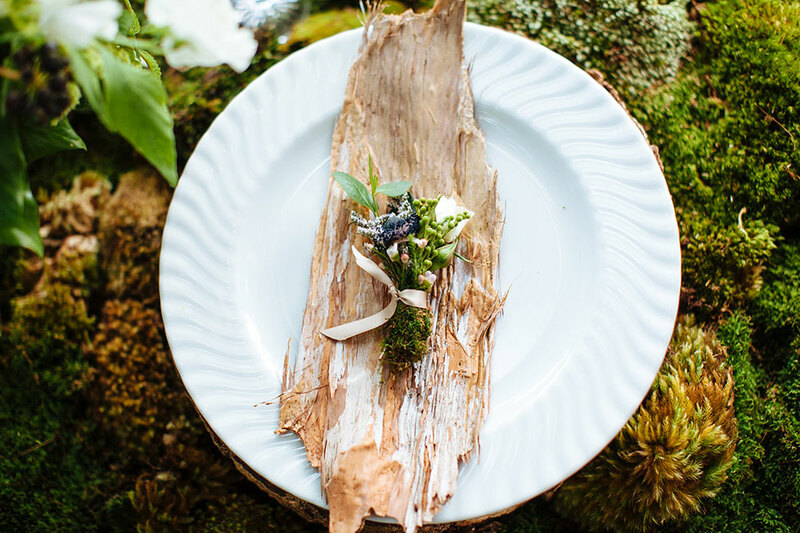 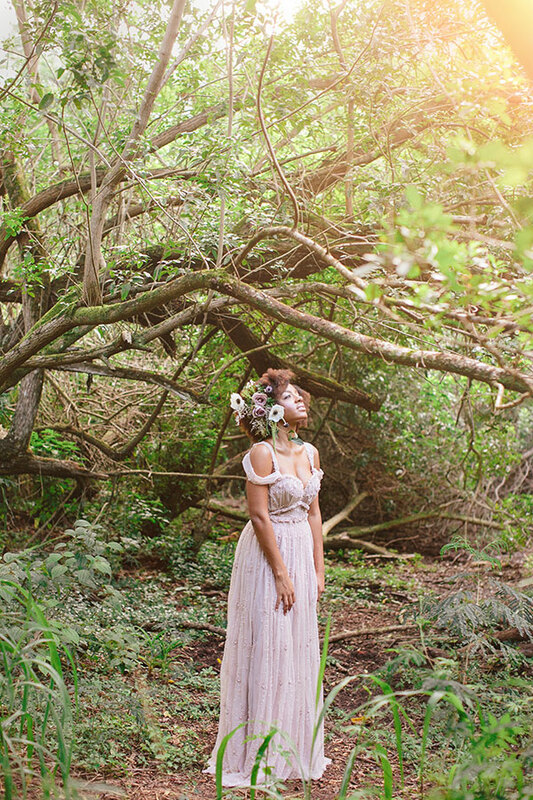 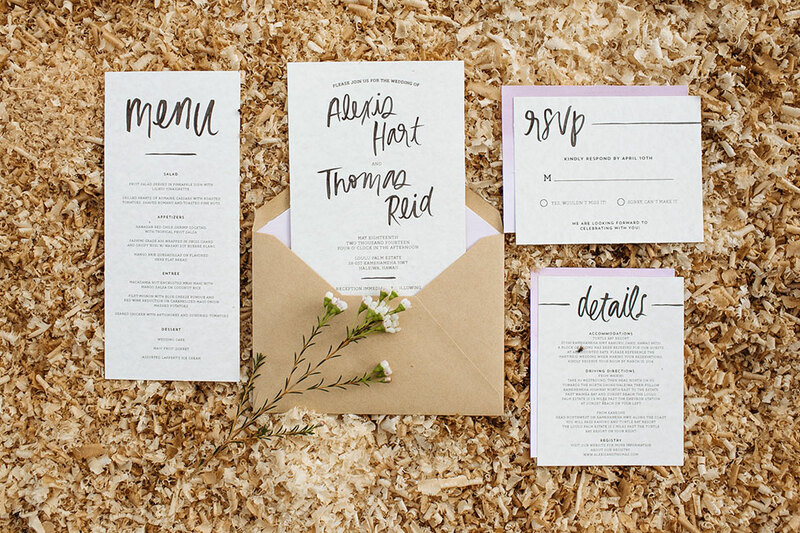 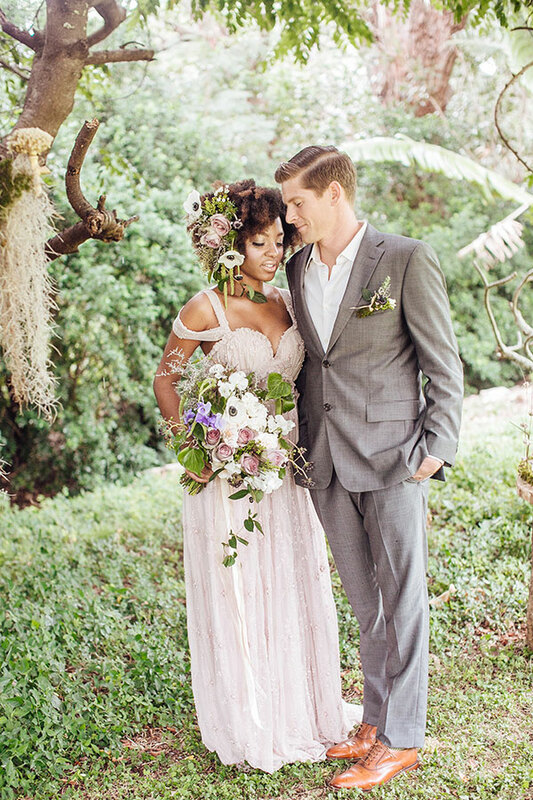 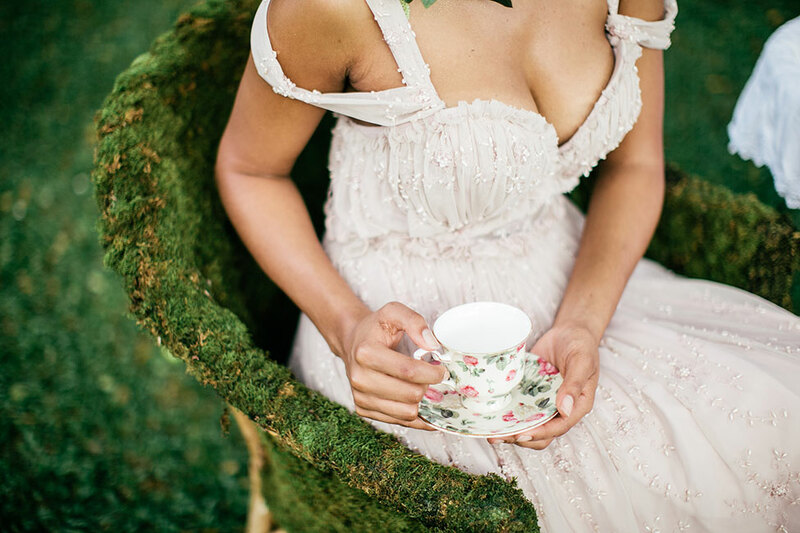 Dreamy weddings come in all packages, some more literal then others like today’s beautifully styled shoot from Hawaii wedding photographer What a Day! 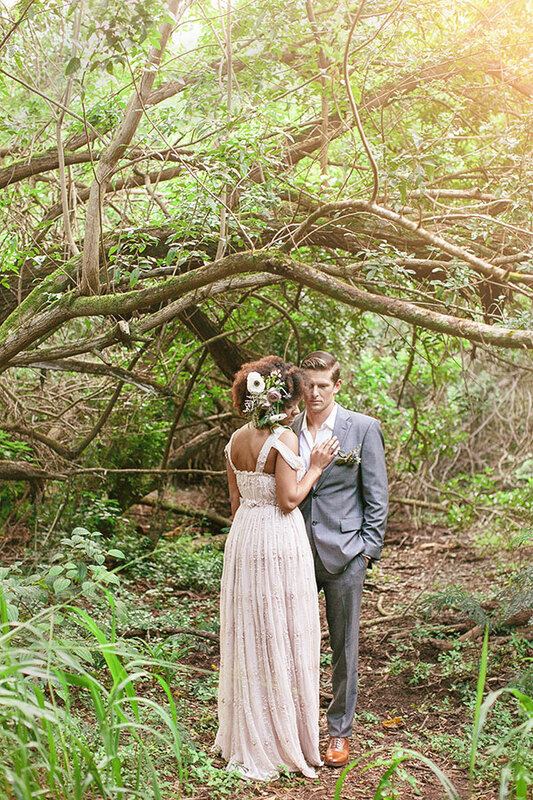 Photography! 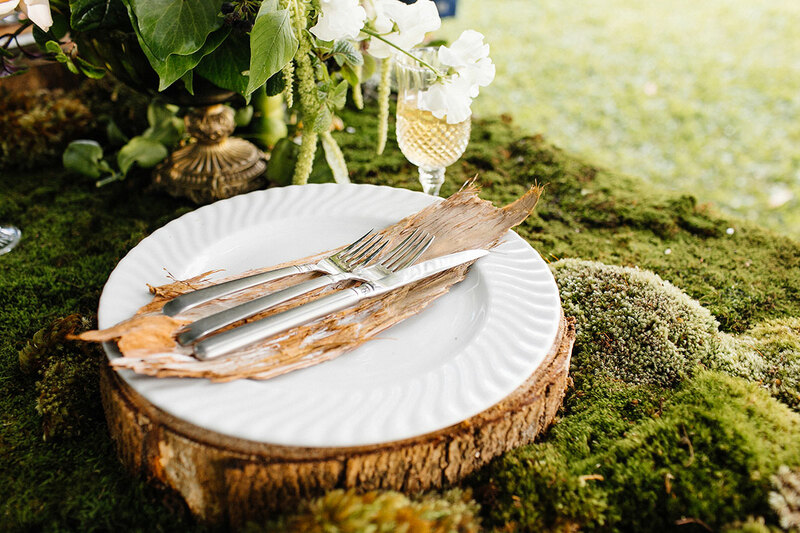 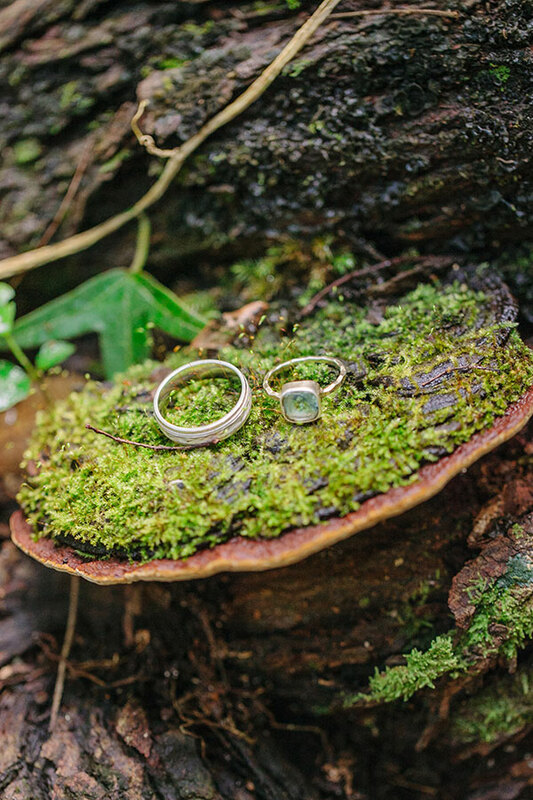 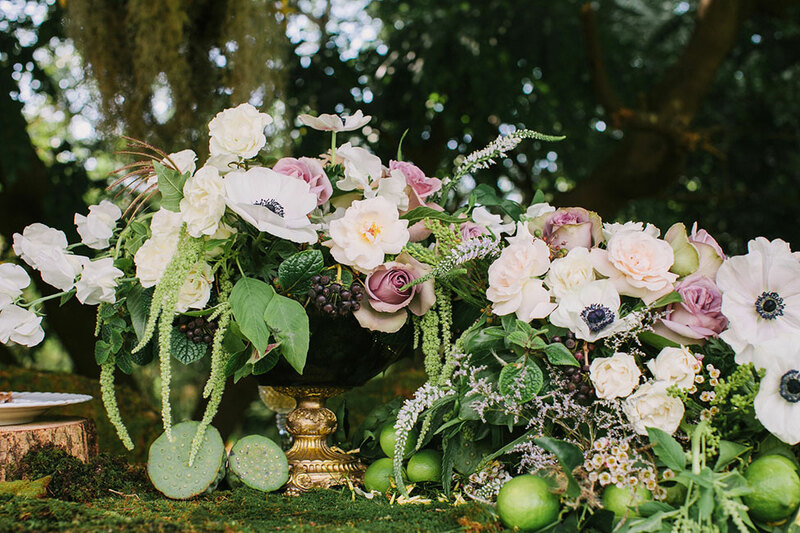 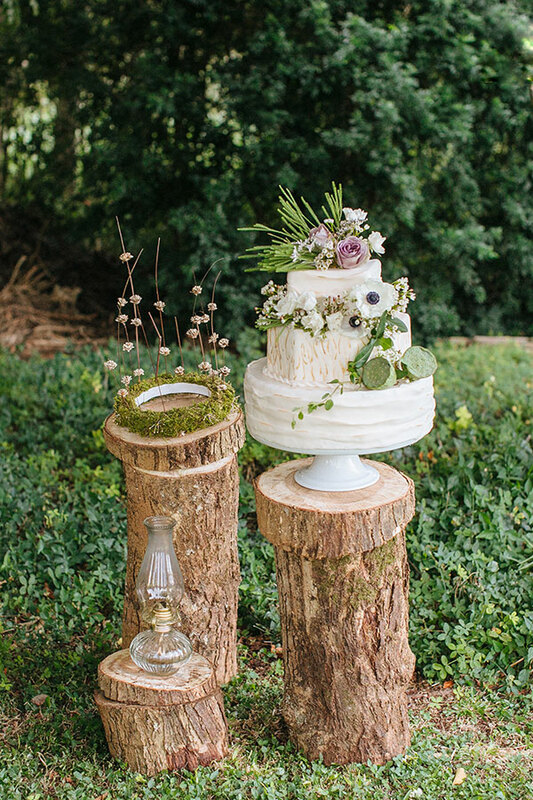 Set in an enchanted forest nook, the crew crafted a moss covered world with finer touches in sterling silver & polished gold. 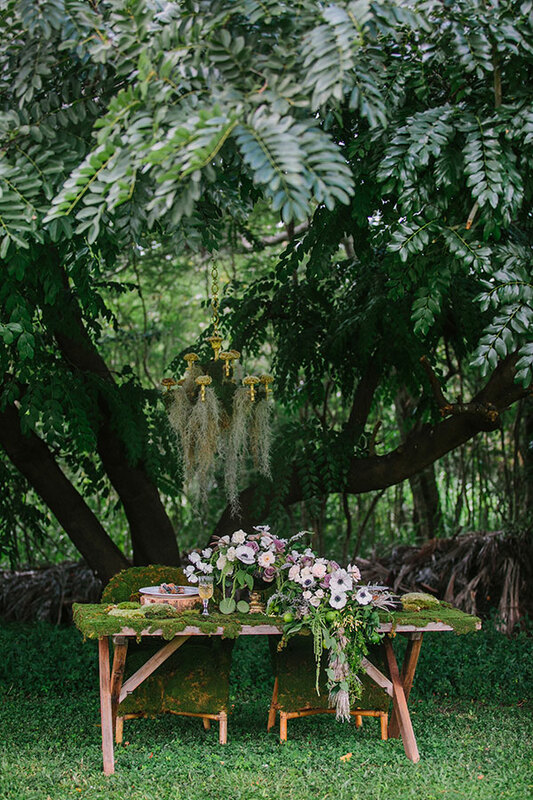 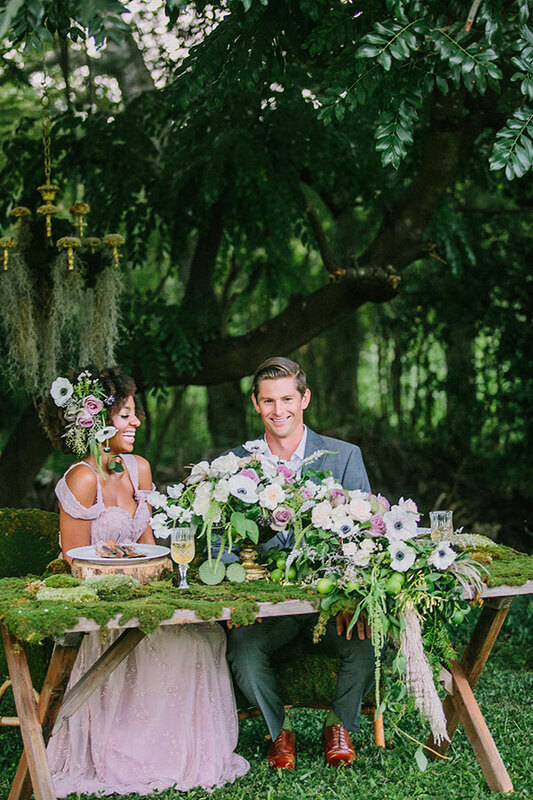 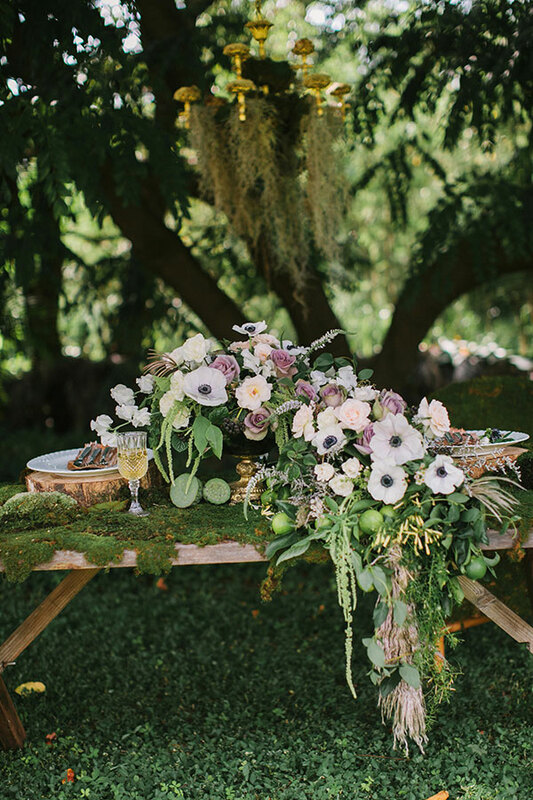 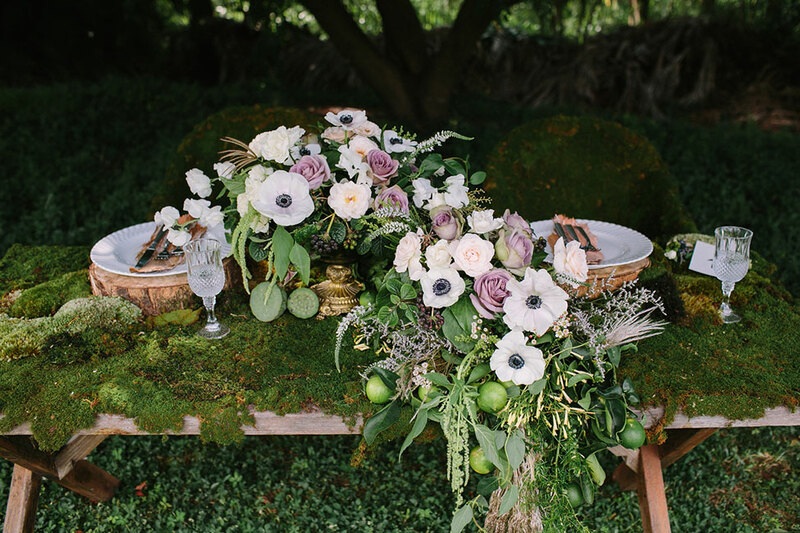 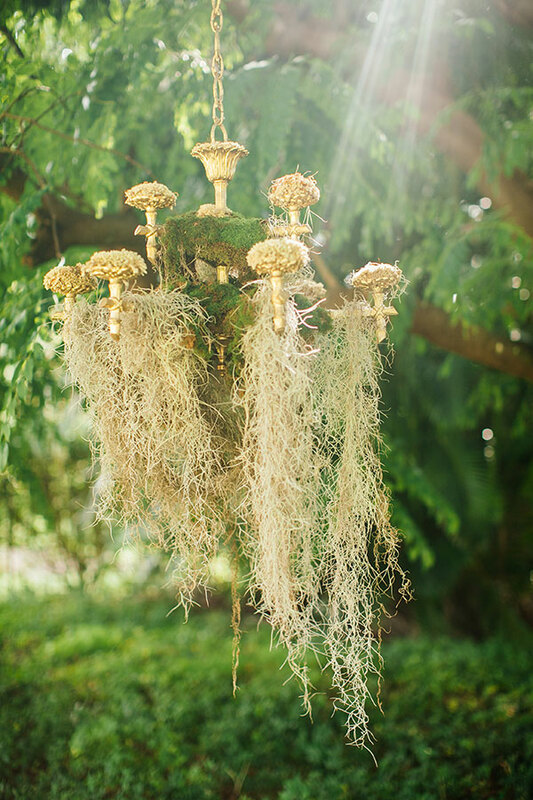 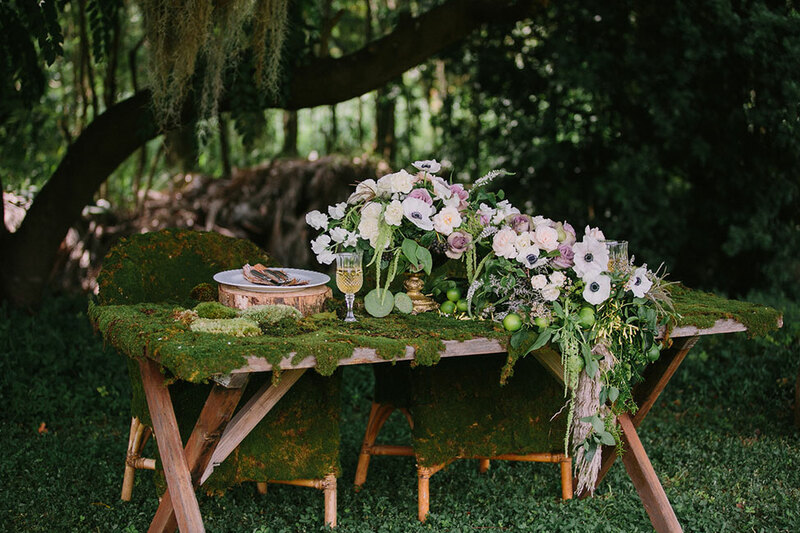 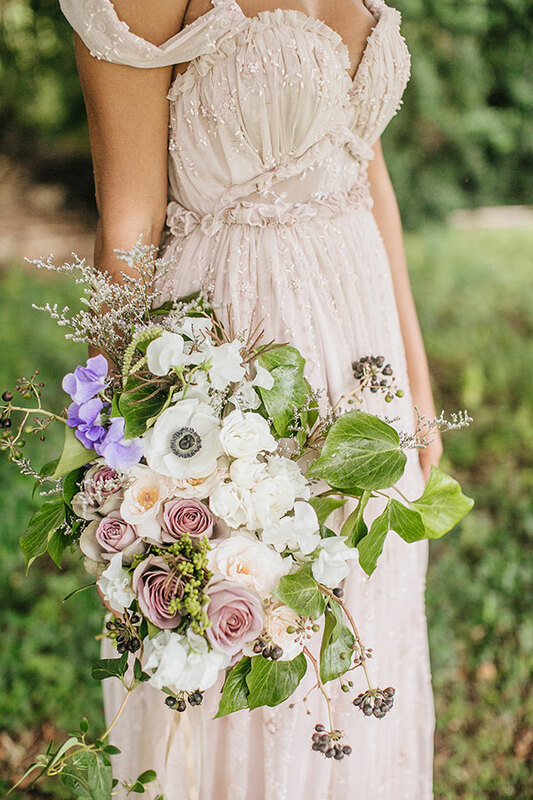 Overflowing florals are a must when creating a storybook setting & the team at Passion Roots wonderfully outdid themselves with Spanish moss draped chandeliers, a gorgeous abstract bouquet & a stunning generous centerpiece which gently flows down the side of the table. 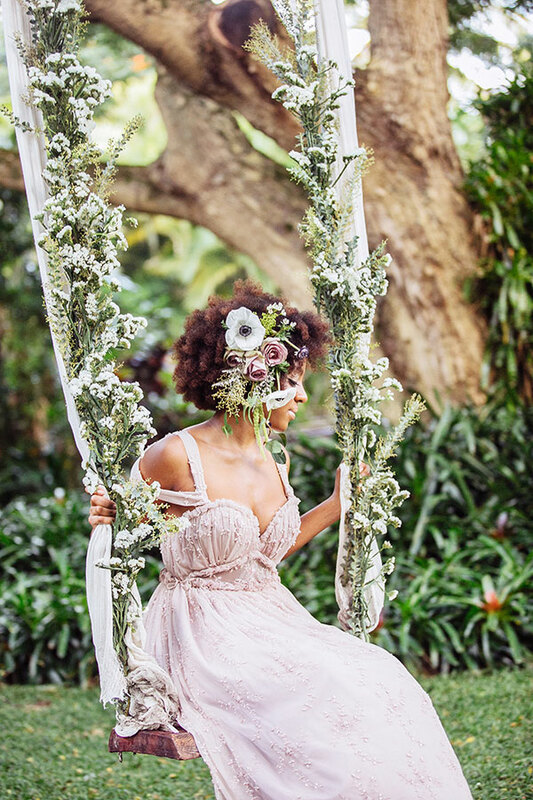 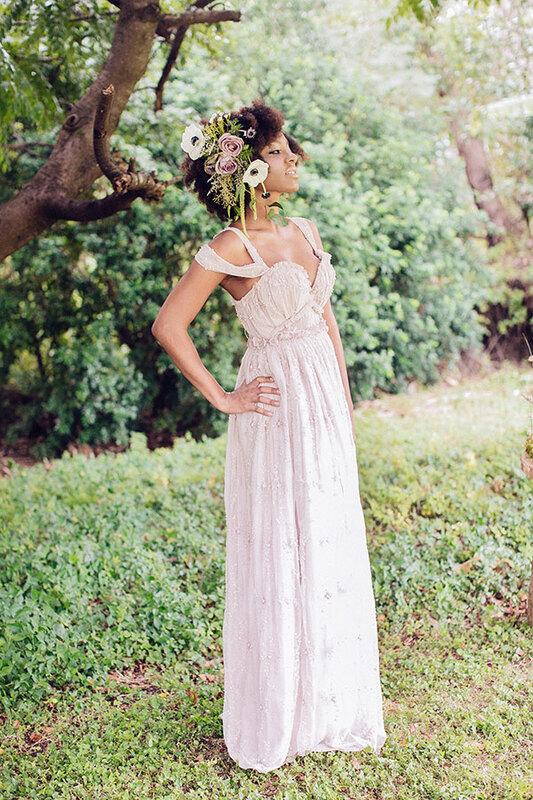 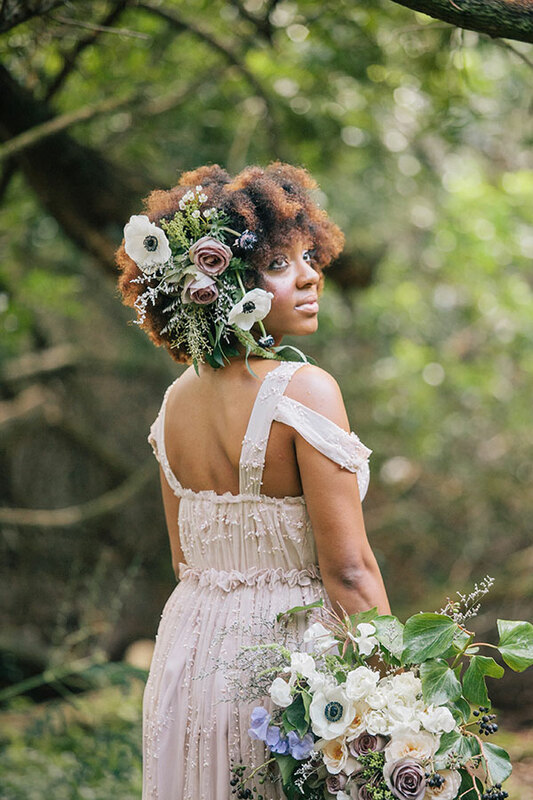 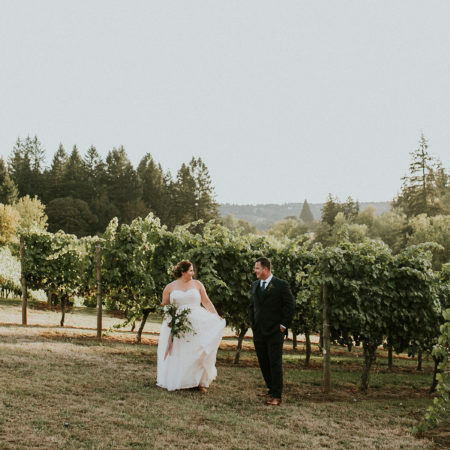 Our bride embodies a fairy tale nymph, fashioned with abstract blooms in her hair, & a free flowing gown which tumbles down her arms in the most romantic of ways. 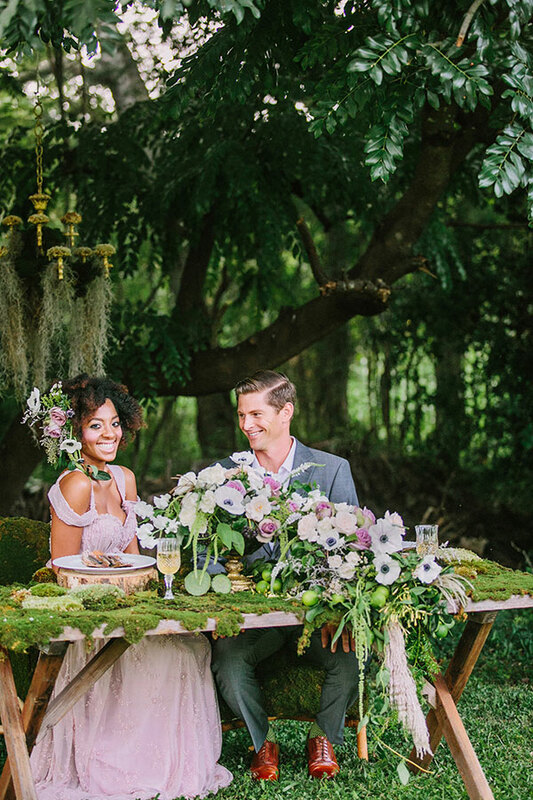 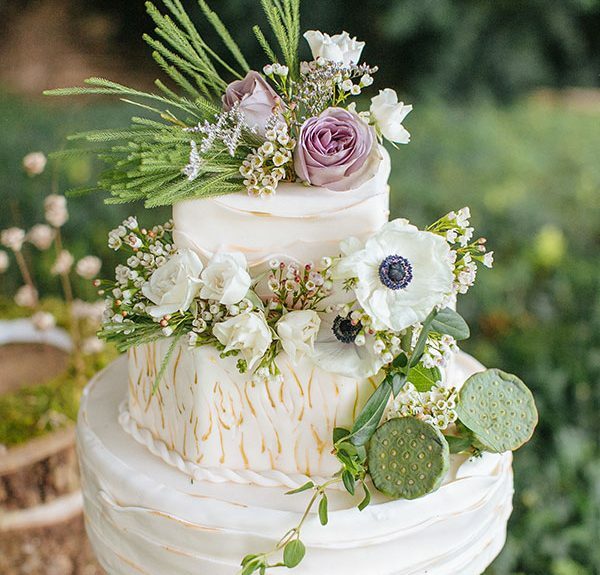 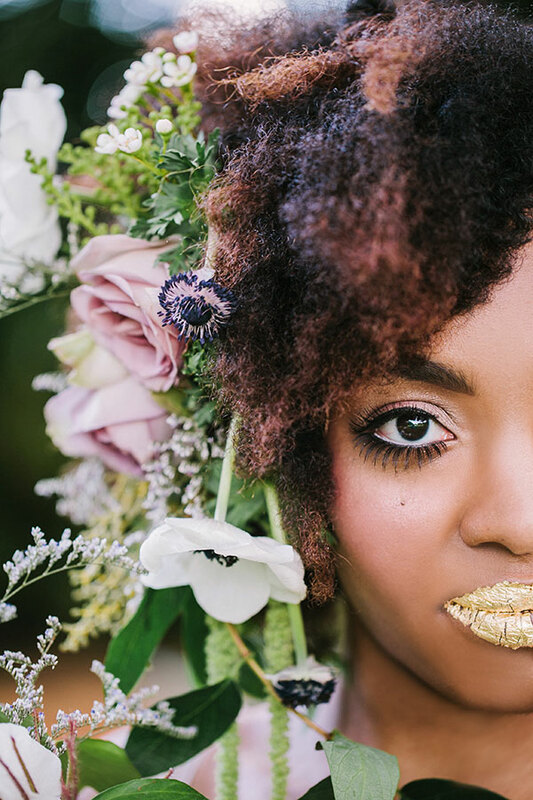 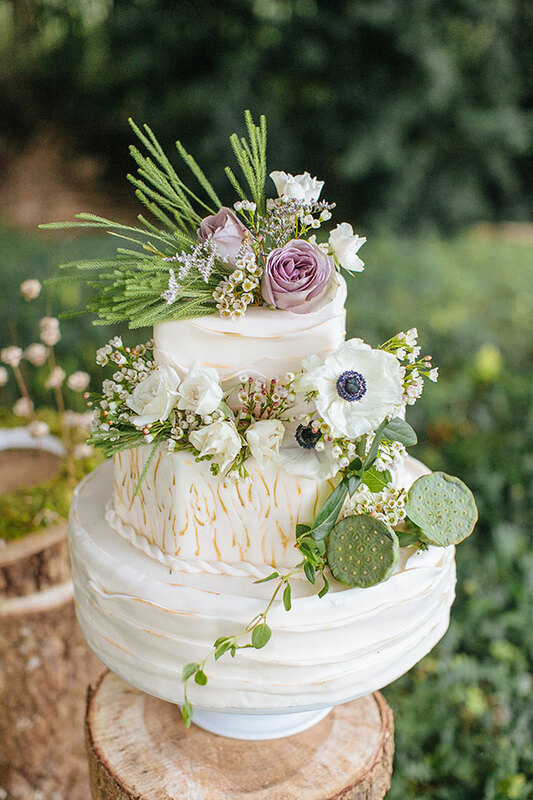 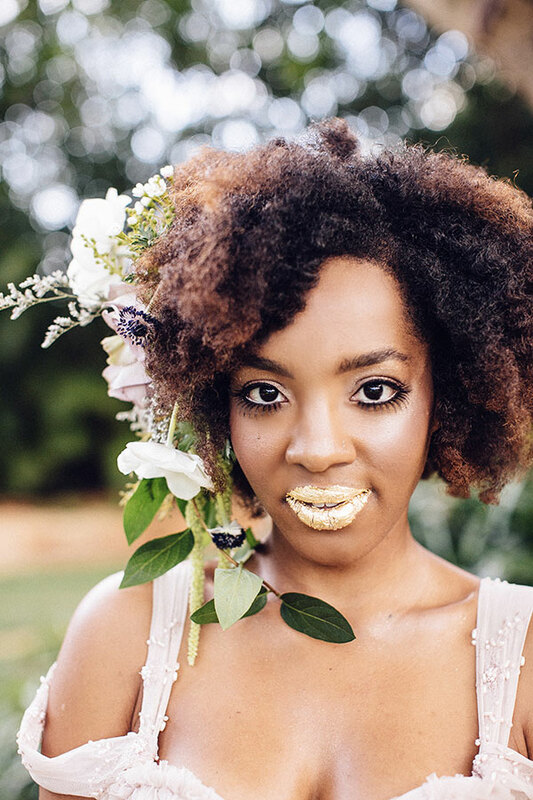 From golden lips to divine blooms, is hard not to dream right along with these two, the most delicious of whimsically sweet wedding dreams!